Nearly a year after the murder of his parents and four siblings, Ronald “Butch” DeFeo Jr.’s trial began on October 14, 1975. The family home reportedly became haunted after the tragedy and was the inspiration for the book The Amityville Horror and the movie of the same name. 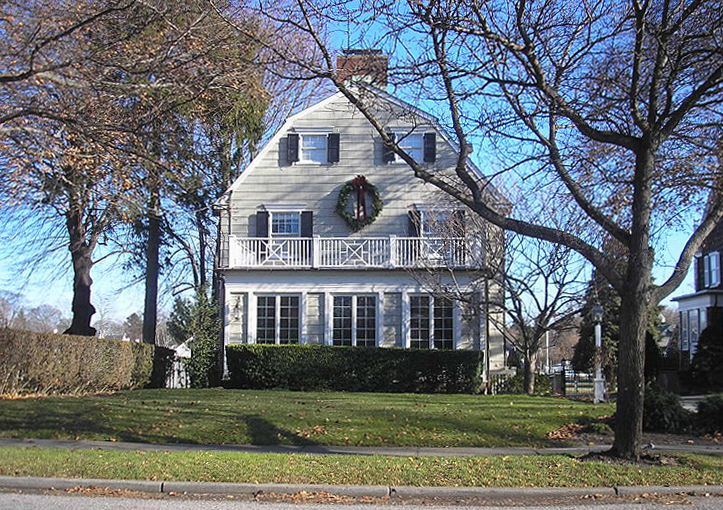 It all began on the night of November 13, 1974, when six members of the DeFeo family were murdered in their beds at their home on 112 Ocean Avenue in Amityville, New York. Those killed were 43 year-old Ronald DeFeo, Sr. and his wife, 42 year-old Louise, and four of their children: 18 year-old Dawn, 12 year-old Allison, and Marc and John, who were 12 and 9 respectively. Both parents were shot twice with a .35 caliber Marlin 336C rifle. The children were each shot once. 20 year-old Ronald “Butch” DeFeo Jr., the family’s oldest son, went to a local bar in Amityville and told the patrons that his parents had been shot. Several of those present accompanied Butch back to the home, and when they arrived at 112 Ocean Avenue a man named Joe Yeswit called law enforcement to report the crime. One odd thing investigators noted was that none of the neighbors had heard any gunshots although the murder weapon didn’t have a silencer, and even if it had gun silencers don’t make guns anywhere near silent, contrary to what you often see in the movies. Additionally, there were no signs of a struggle at the scene, and aside from the gunshot wounds all of the victims appeared as if they died peacefully in their sleep. Butch was brought in to be questioned by the Suffolk County police. He initially tried to pin the crime on the mob, but that story fell apart pretty quickly, and by the next day he’d confessed to killing his family. He admitted to cleaning himself up after the crime and disposing of incriminating evidence, including his bloody clothing and the murder weapon. He also claimed he was possessed by Satan and that the voices in his head told him his family was conspiring against him. While the prosecution psychiatrist agreed DeFeo certainly had issues, antisocial personality disorder being one of them, he firmly believed he was able to able to distinguish right from wrong when he shot his entire family. The jury agreed and convicted Ronald DeFeo Jr. on six counts of second-degree murder. He was sentenced to serve six consecutive terms of 25 years-to-life, and is incarcerated at the Green Haven Correctional Facility in Beekman, New York. All of his appeals have been denied. The house where the murders occurred was sold to George and Kathy Lutz in December of 1975. The couple and their three children abandoned the house in less than a month, claiming it was haunted because of the tragedy that had occurred there. Many say it’s a hoax, including DeFeo, who now says he made everything up to better his chances with the jury (shocker). Some swear the house is cursed, including Daniel Lutz, who lived there for 28 days as a 9 year-old boy. Hoax or not, the fact is six people were murdered there on a November night in 1974, and that’s enough to unsettle many people, even without any haunting.